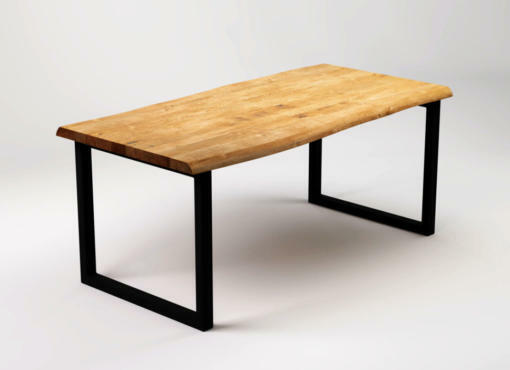 Tabletop – 2,5-5,0 cm thick (±2mm), specially selected, smooth solid oak wood. It has various shades, dark knots and bright lines running along and across the tabletop. No overhang. Each product is made to order and therefore, depending on the batch of wood, it also has its own unique features, colour and wood grain. BLACK FOREST is an modern oak dining table with elegant simplicity. Bringing together contemporary Scandinavian design and smooth minimalist style. 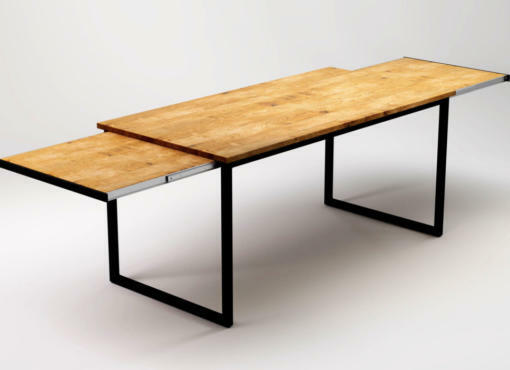 This classic and modern table shape is used from dinner tables to boardrooms. Solid oak wooden tabletop is making the most of the beautiful natural grain. 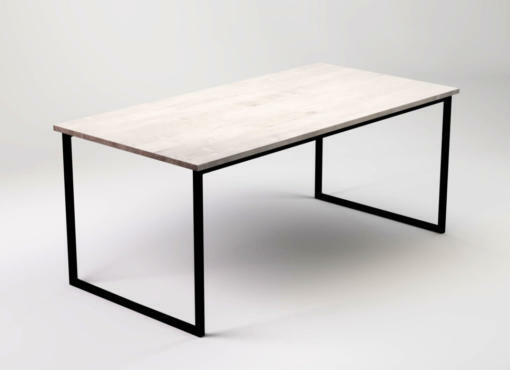 Giving a nod to modern industrial design, the table features a sleek steel frame painted in black. Functional, minimalist design and the use of only natural materials. Perfect choice for every modern home, office and boardroom. “Black Forest is one of the greatest journeys in our life. This is also a name of our newest table. Minimalism, simple design, uniqe oak wood and the best handicraft – these are the essential things that made a big difference and gave a great value. The product is delivered fully assembled. No assembly required. It’s a beautiful table. I really like the clean design. The wood feels and looks high quality. The finishing is just perfect. Delivery to Germany went smooth. The table was packed well. 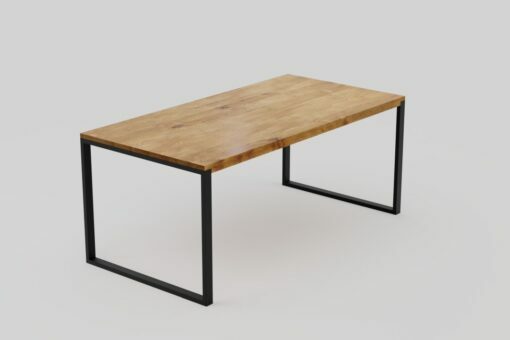 If you are looking for a nice table made of oak and a metal frame for a great price – this is it!